I am very pleased with this watch. Good quality for the price and that's coming from a real bargain hunter. Nice proportion for a small to medium sized wrist. I purchased the ruddy pink it goes well with my skin tone. Appropriate for any occasion. Dress to impress with this dazzling Burgi timepiece. 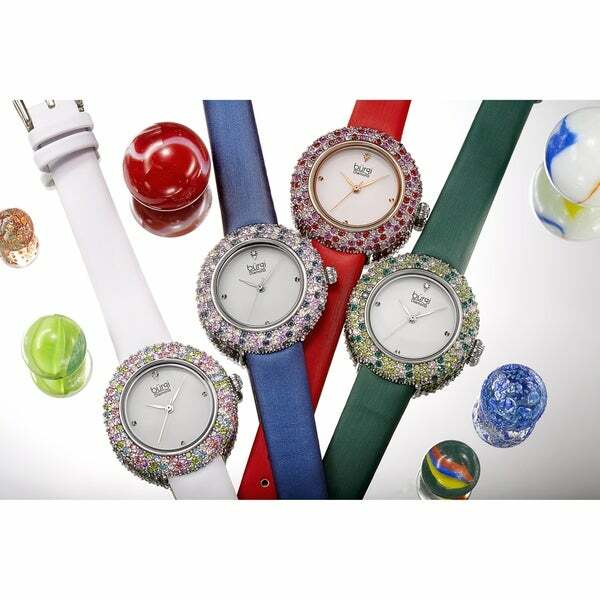 Vibrant and colorful Swarovski crystals encircle the elegant diamond dial. Wear it or gift it to someone you love on the next occasion!